Tomorrow belongs to the bold. 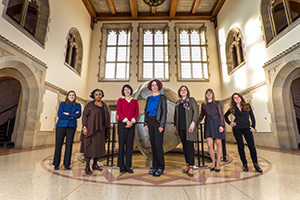 Notre Dame is proud to celebrate women whose scholarship and leadership are empowering change in the global community. Please visit womenlead2017.nd.edu to read profiles of each of these scholars.